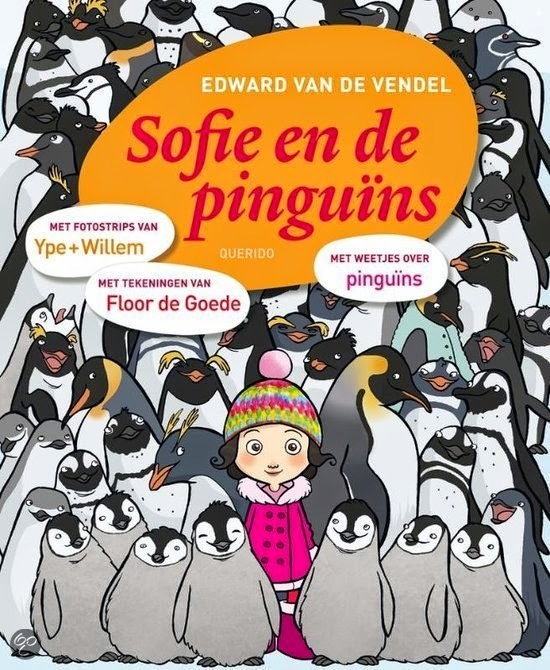 There are four books in the series I make with illustrator and comic artist Floor de Goede and photo-comic-makers Ype+Willem - all of these four books are about little Sofie, who is extremely fond of animals and in particular about penguins. After SOFIE AND THE PENGUINS (2010), there was SOFIE AND THE FLYING BOY (2012), SOFIE AND THE LITTLE POLAR BEAR (2013) and SOFIE AND THE DOLPHINS (2014). Next year we will publish a fifth book. All books (for kids aged 6-10) are issued by publishing house Querido, Amsterdam. This year the first SOFIE-book came out in Italy (Il Castoro, SOFIA E I PINGUINI). The rights were also sold to Estonia (for all four of the books, Päike ja Pilv) and we just got to know that Sofie will travel to Israel! Publishing house Rimomim bought the rights. We are extremely happy because of this fact. Thanks, Rimomim! For possible other countries: don't forget you can apply for a grant for the translation of these books!